In an instant, 12 months of pain had evaporated. With his hand raised and the belt wrapped around his waist, 16,000 screaming fans erupted. 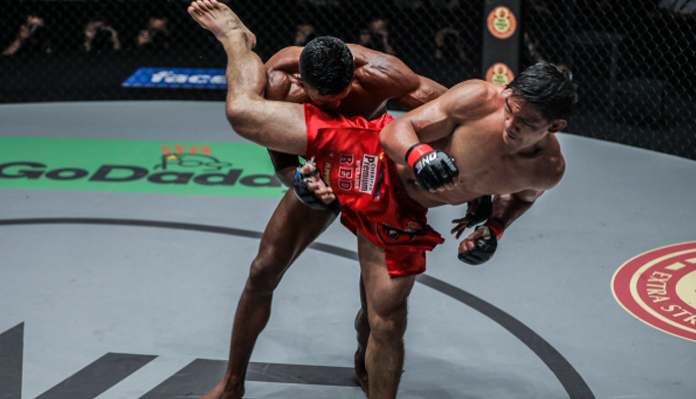 Eduard Folayang felt tingles down his spine. “Of course, I wanted to cry but the tears didn’t come out,” reflected Folayang, who became the first man in ONE Championship history to claim the lightweight world title for the second time when he defeated Singapore’s Amir Khan at ONE: Conquest of Champions in late November. Amid the euphoria inside the packed Mall of Asia Arena in Manila, Folayang felt an overwhelming sense of relief. Suddenly, his mind skipped back to the moment when he lost everything — the bout and the belt — in the same place last year. “I was able to look back on the last time when I was standing there and the stadium was silent,” Folayang said of his defeat to Australian Martin Nguyen at ONE: Legends of the World. Champion once more, Eduard Folayang, coach Mark Sangiao and the support staff disappeared behind closed doors to celebrate. It was inside the changing rooms where Folayang paid tribute to his teammates at Team Lakay. “I had my team around me,” a grateful Folayang said. “Ever since my first fight in martial arts they were there supporting me, so I took the opportunity to thank them. I told them ‘this is not just my victory, this is the whole team’s victory. After basking in the glory for a short while, Eduard Folayang and fellow ONE World Champions Kevin Belingon, Geje Eustaquio and Joshua Pacio, as well as Honorio Banario who celebrated his victory over Rahul Raju earlier in the evening, joined the support staff from Team Lakay on the road back to the host hotel. But the beers weren’t flowing. Nor was Folayang popping bottles of champagne. In Folayang’s mind, this was not a time to party. That time will come, he says. For now, Folayang’s shiny gold belt lives on the wall at Team Lakay headquarters in Baguio City. And it will stay there until they move to a new, expansive gym across town. 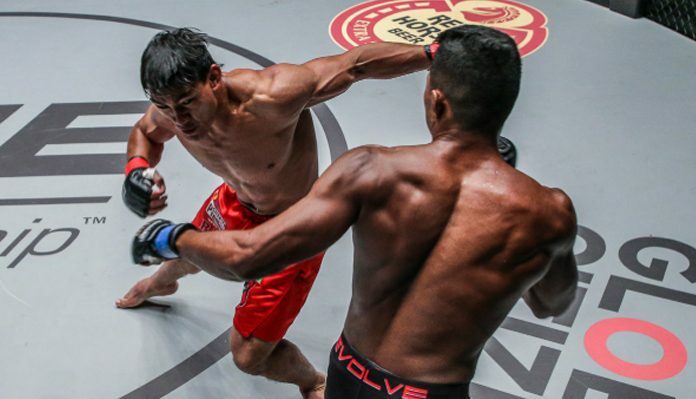 Eduard Folayang will return to the ONE cage at ONE: A New Era on March 31, where he will attempt to defend his title against Japanese legend Shinya Aoki. This article first appeared on BJPENN.COM on 1/9/2019.